Had a long day of fun? Chill out and relax with your favorite drinks at our brand new bar! Aoudadies is a place where everyone knows your name. With a seemingly endless selection of fine wines, margaritas and premium beer, our shelves are stocked to satisfy any taste. 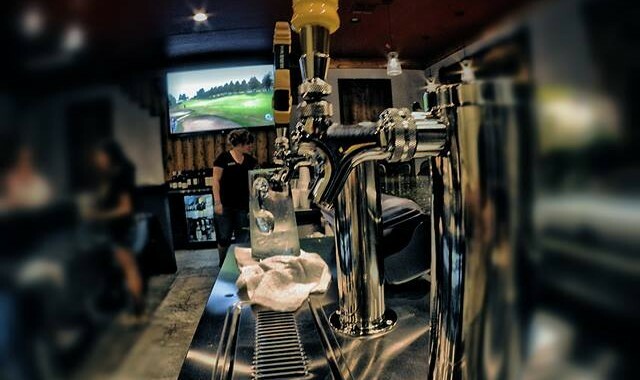 An 80″ screen TV is located at the head of the bar, meaning you can catch a full view of the game anywhere. A poolside patio features 3 additional TV’s and provides the perfect open air environment to kick back watch a game and enjoy a drink while reliving all your adventures from the day. Aoudaddies is directly adjacent to our brand new Sundance Entertainment Pavilion and features glass doors that can be raised to provide a full open-air view of the live music regularly featured in the Sundance Entertainment Pavilion.